In simple terms, plagiarism means copying and borrowing someone else’s original ideas without his consent or knowledge. It is a common problem these days and is considered as a breach of writing ethics and standards. The definition of plagiarism is not just limited to student’s academic writing, instead, it covers a wide area of this internet-enabled world. Dealing with plagiarism is a big problem these days although there are plagiarism checker tools available both for students and for professionals. Both free and paid plagiarism checker tools are available on the internet. We will discuss these tools afterward, let us first know more about plagiarism. Plagiarism is a serious offense which we commit by stealing other people’s ideas. Plagiarism has different meanings in academics and journalism. Submitting a work done by someone else considering it as their own. Taking content from any previous work without adding citations. Rewriting someone else’s work without giving any reference. Not adding a citation to the quotation used in the content. Linking different sources together without citation. Adding citation to some of the content, not all. Lack of originality in the content. Strict action is taken against someone who indulges in the practice of plagiarism. The thesis and dissertation of the research students are rejected if any form of plagiarism is found in their piece of writing. Other strict actions include suspension and termination of researchers and professors. Also, plagiarism is the major reason for the rejection of the thesis and dissertation paper. Thus students should comply with the plagiarism policies if they don’t want their academic writing document to be rejected. Using media content like image, audio, video from somewhere without reference. Using copyrighted audio or video. Altering copyrighted image, audio, or video. Borrowing music composition from another source. All these things come under copyright violation and there are strict actions against that leading to termination of employment. To avoid these actions, the best thing to do is to seek permission from the original owner of the copyrighted source and give proper citation to that. Direct Plagiarism – It is an unethical practice in which a majority of the words and structure is copied without using any quotation. Self Plagiarism – This type of plagiarism occurs when a student uses his own ideas and content from the previous paper. Mosaic Plagiarism – It is also known as copy-paste plagiarism in which a student copy pastes different content to create a new content. Accidental Plagiarism – This type of plagiarism occurs when a student or individual add a citation inaccurately. A recent survey shows that more than more than 70% of students resort to plagiarism at any point in their academic career no doubt they are aware of the consequences of plagiarism. Why do they breach this ethical standard? Students are afraid to take risks in writing their own work. Lack of time, poor time management is another reason for plagiarism. Students do not take the consequences of plagiarism seriously. Plagiarism policies are not strictly enforced on students. Students may not know how to add citations or to cite a source. Lack of support from college instructors, professors. Lack of knowledge and poor writing skills. Academic pressure also forces students to plagiarize the work. Now that you have learnt the types and causes of plagiarism, let us discuss why is plagiarism considered as a bad practice. Plagiarism is wrong because it is looked upon as an act of fraud. You have stolen someone’s work and stealing is a crime. You deceive your professors when you claim that the plagiarized work is written by you. You break the academic ethics when you copy-paste other’s work. It can have a negative impact on you and your ability to learn and implement new things. You will be considered a thief if you are later detected for plagiarism in the work. These things make the act of plagiarism morally wrong. Students accused of plagiarism can be suspended or expelled. Their academic writing work like essays, assignments, thesis/dissertation are instantly rejected. A person’s professional career, as well as reputation, can be ruined due to plagiarism. In many cases, a plagiarist has to pay monetary compensation to the original author. Plagiarism in medical line can prove to be heinous. A legal action can be taken against the plagiarist. These are the consequences which an individual has to face when accused of plagiarism. Read the research paper thoroughly and try to recreate that idea in your own words. Do not copy more than two words from the text that you have read. Use citations in an effective way to avoid plagiarism. When you have taken content from some other source, use quotes as they appear in the source. Include a reference page to indicate all the citations at the end of the research paper. Cite your own content to avoid self-plagiarism. Use plagiarism checker tools available online. Revise your research paper thoroughly before submission to check plagiarism. These steps are important if you want to avoid plagiarism in your thesis or dissertation writing work for the sake of your academic degree. Turnitin – Turnitin is the leading and the most commonly used tool for detecting plagiarism in reports like assignments, thesis, and dissertation. It is a paid tool. You have to pay the price to get the subscription of this costly tool. This tool uses specially designed algorithms to detect plagiarism. It has a database of about 65 billion web pages including 1 billion student pages and 170 million scholarly articles and journals. Plagiarism Checker X – It is another advanced tool for Windows to detect plagiarism and is available for 7 different languages. It helps in detecting plagiarism in thesis, dissertations, assignments, and blogs. It is helpful for students and teachers both. Its basic version is free to use and the premium version is paid. The subscription starts from around $40 for the professional account. Grammarly Plagiarism Checker – Grammarly is another popular tool to check plagiarism as well as grammar. It is used by millions of people. It is also a paid tool although it provides a free trial to its users. There are monthly, quarterly, and yearly subscriptions available for this tool. Copyscape – Copyscape is one of the best plagiarism checker software available in both free and paid version. The premium version provides better results than the free version. The premium version can check the offline content also for plagiarism. ProWritingAid – It is a software to check plagiarism against billions of web-pages. The price ranges from $10 for 10 checks to $200 for 1000 checks. It does not depend upon the previously saved database. Instead, it uses a search engine index for checking plagiarism. Plagiarisma – It is an online plagiarism checking tool supporting more than 190 languages. Both free and premium versions are available for this tool. One limitation of this tool is that it allows only three searches per day from a single IP address. The free version has limited features than the premium version. Quetext – It is another lesser known online plagiarism tool for students and teachers. It is also available in two versions – free and pro. Pro version gives the ability to search more than 50 pages i.e. about 25000 words. SST Plagiarism Checker – Small SEO tools plagiarism checker is simplest of all the plagiarism checker tool. It is free to use with 1000 words checked at a time. However, it lacks advanced features available with the other plagiarism checker tools. Why are paid plagiarism checker tools better than the free ones? 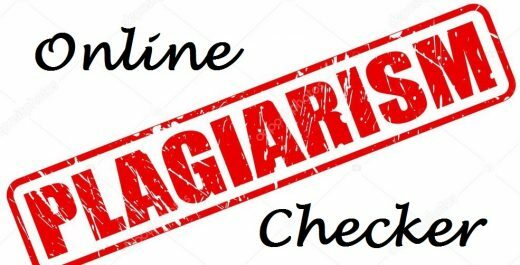 It is always recommended to use the paid online plagiarism checker tools rather than the free ones, especially for important research papers and writings. The data saved in the database of the free plagiarism checkers are provided to the third-parties leading to self-plagiarism. The paid tools have more advanced features and offer effective plagiarism checking solutions. Also, most of the free tools are not effective in providing the best solution for the plagiarism. Thus, to get satisfaction on your work and have a peace of mind, it is better to spend some bucks for the paid tools rather than regretting later. We at Techsparks use Plagiarism Checker X to check plagiarism in the documents like assignments, theses, dissertations, essays. 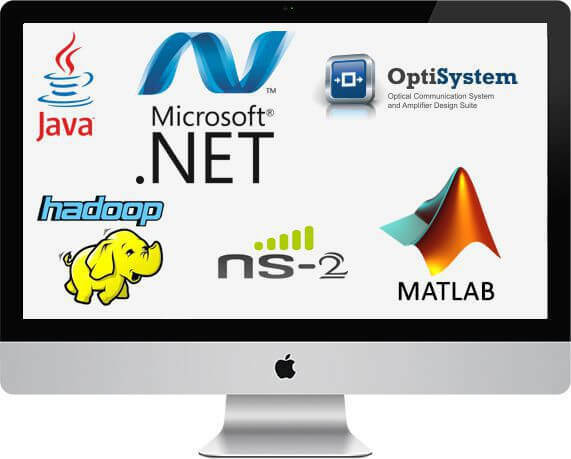 It is a very costly tool with the minimum subscription starting from $40. Although, a free trial is available for 14 days the features are limited to 30 searches daily. This is the best plagiarism checker tool used by the leading institutes for detecting plagiarism. The business edition of Plagiarism Checker X is even costlier with the price $147.5. Thus, it is out of range for the normal people to use this costly service. To help students who are scared about plagiarism in their content, Techsparks offer plagiarism checking services for any type of document including thesis, dissertation, assignment, essay, and other such documents at an affordable price. So rather than buying this costly software tool, you can contact Techsparks for plagiarism checking service. This tool has excellent features and is highly beneficial for students, teachers, and research scholars. If you are an M.Tech or Ph.D. student and want to get your test your thesis for plagiarism, then you can get in touch with Techsparks. You have to just send your document to us. We will send back a complete report on how much plagiarism has been detected in your content. The document can be of any type including PDF, DOCX, DOC, and HTML. Not just English, this tool is compatible with other languages including Spanish, French, German, Italian, Dutch, and Portuguese. You will be highly satisfied with the results produced by this software. You can contact us on this number 91-7696666022 or email us at techsparks2013@gmail.com to know about the price and other necessary details. You can send your document for plagiarism checking on this email id only. Techsparks also provide plagiarism free thesis writing services for M.Tech and PhD. The thesis writing services are available for the students of CSE, ECE, and IT. 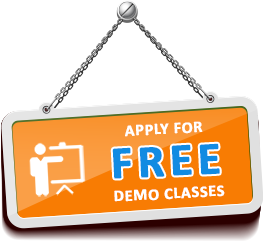 Apart from this, Techsparks offer thesis help in topic selection, synopsis, literature review, writing, editing, and paper publication. Thus, it is an all in one solution for any kind of thesis-related problem. "Thesis Writing Services in Bhopal"